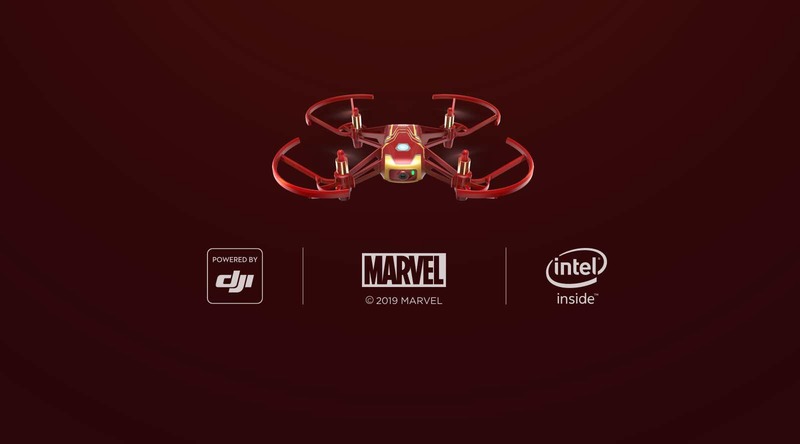 For Marvel fans, er Tello Iron Man Edition perfekt for å lære å fly en drone mens man er inne i Avengers sitt spennende verden. Is the Tello Hero app compatible with the standard Tello? No. 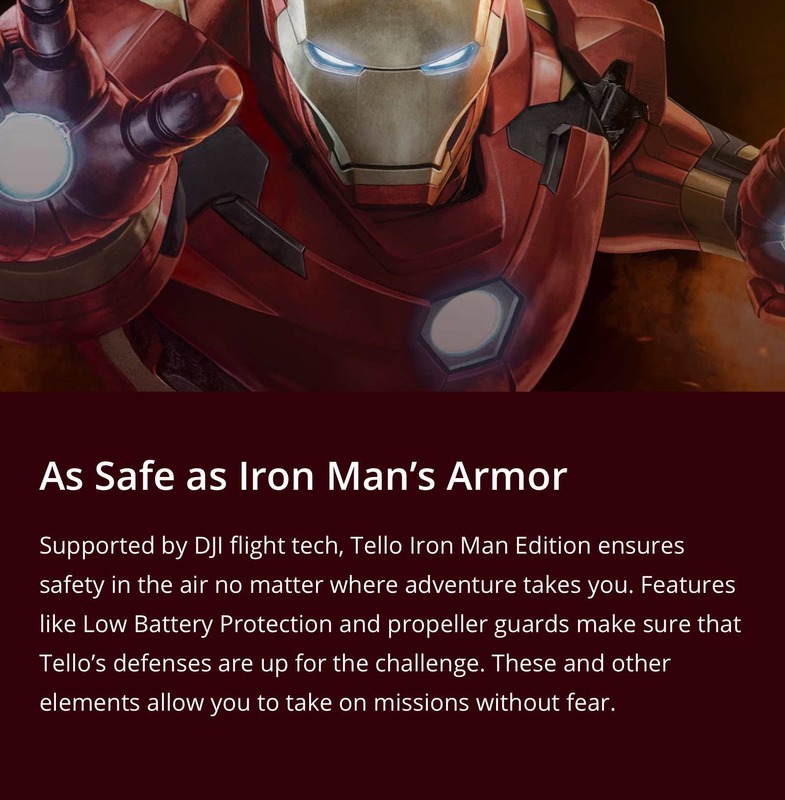 The Tello Hero app is only compatible with Tello Iron Man Edition. 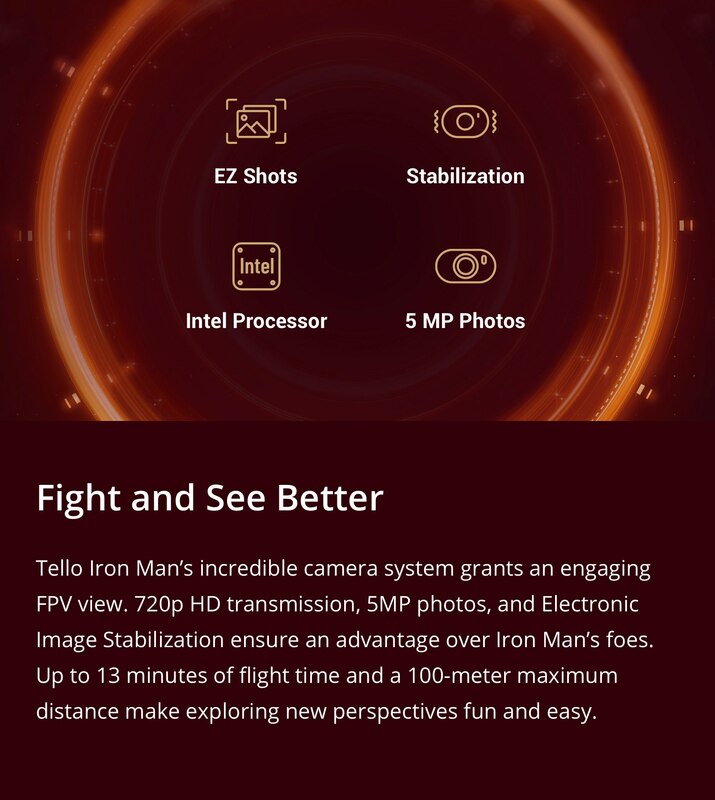 What apps is Tello Iron Man Edition compatible with? 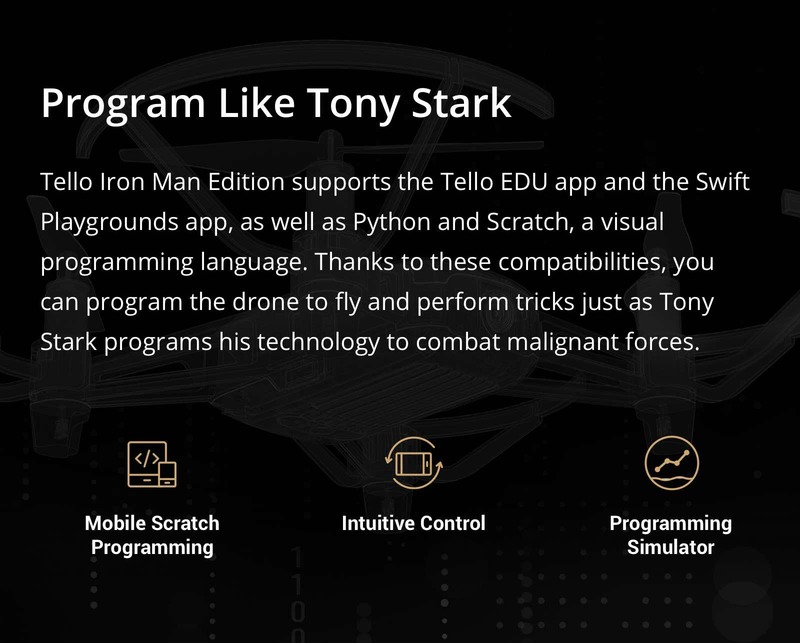 Tello Iron Man Edition is not only compatible with the custom Tello Hero app, but it is also compatible with the Tello app, Tello EDU app, and Swift Playgrounds app. However, it only supports the first two chapters in the Tello Space Travel tutorial. 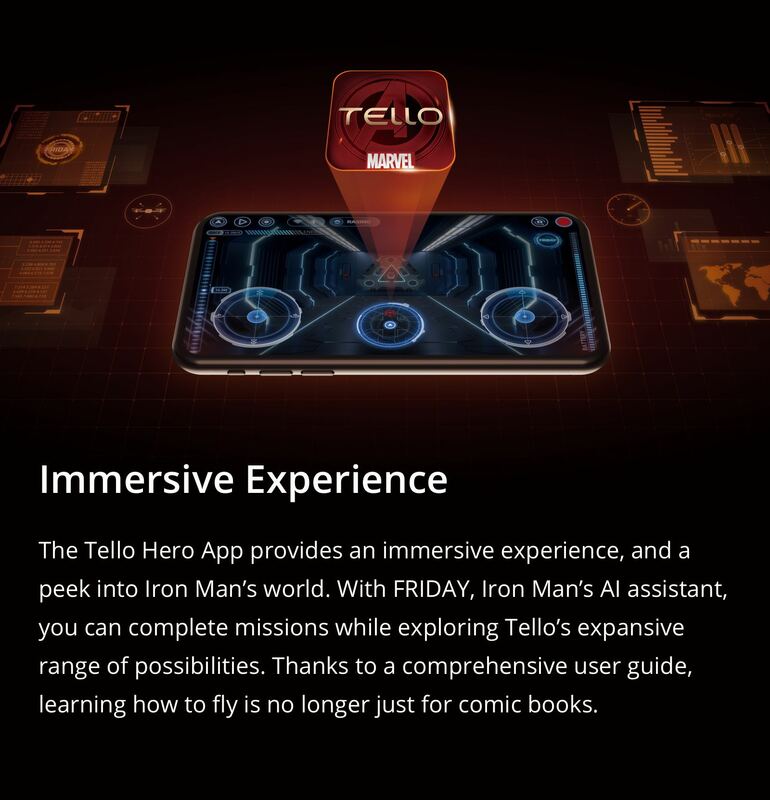 What is the difference between the Tello Iron Man Edition and the standard Tello? 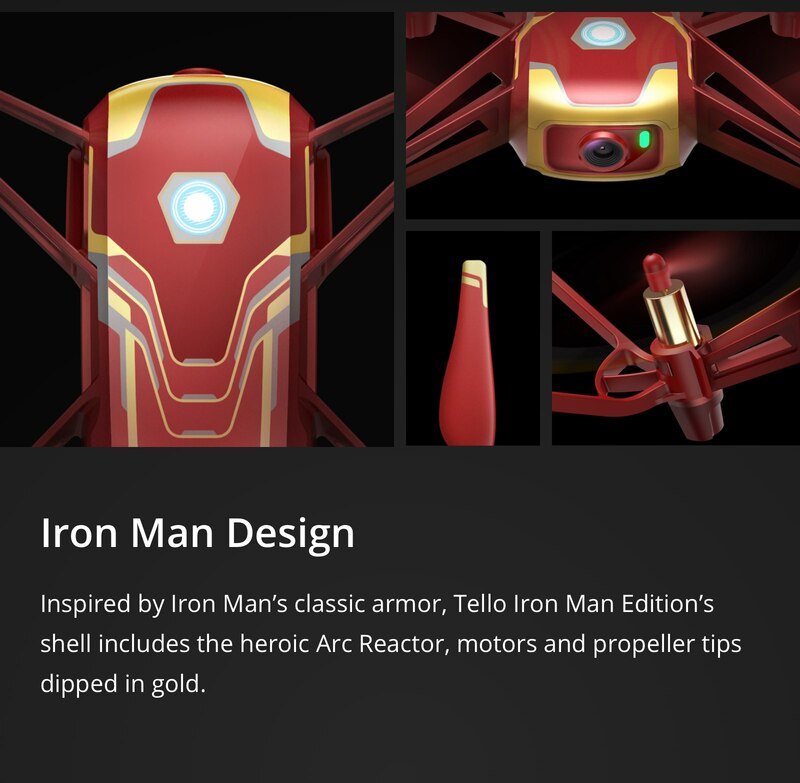 In terms of appearance, Tello Iron Man Edition features an Iron Man-inspired design. 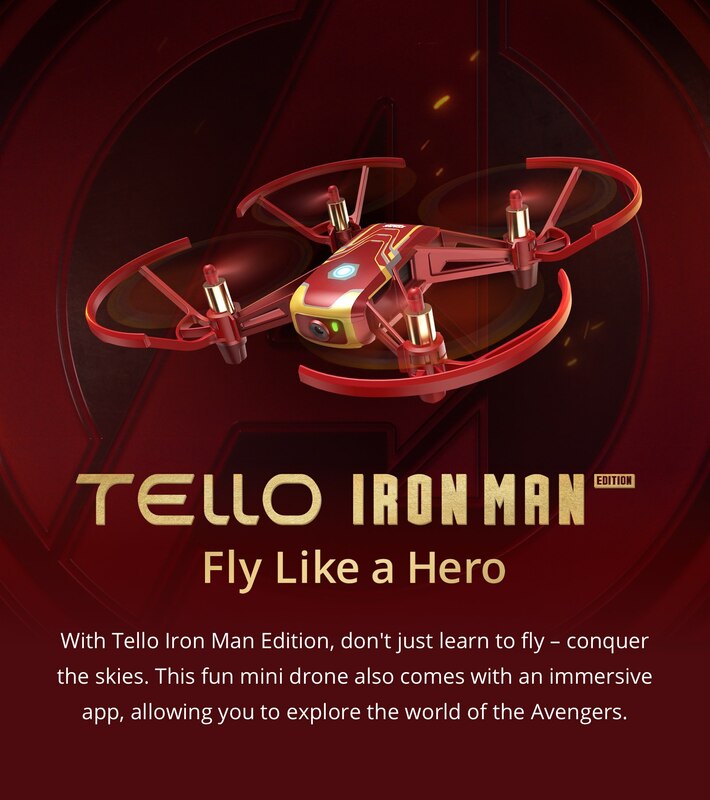 In terms of function, Tello Iron Man Edition shares all the features of the standard Tello and is also compatible with the custom Tello Hero app. Compatible with iPhone 5s, iPhone SE, iPhone 6, iPhone 6 Plus, iPhone 6s, iPhone 6s Plus, iPhone 7, iPhone 7 Plus, iPhone 8, iPhone 8 Plus, iPhone X, iPad mini 4 and iPad mini 4 Wi-Fi + Cellular. Compatible with Samsung S7, Samsung S6 edge, Samsung S5, Samsung Galaxy note 4, Samsung Galaxy note 3, Huawei Honor 8, Huawei Honor 9, Huawei P8 Max, Huawei P10, Huawei Honor V8, Huawei P9, Huawei nova2, Xiaomi 6, Xiaomi Note3, Redmi 4A, OnePlus5, vivoX6, Google Pixel1 XL, Google Pixel2. *Not available for Android tablets. 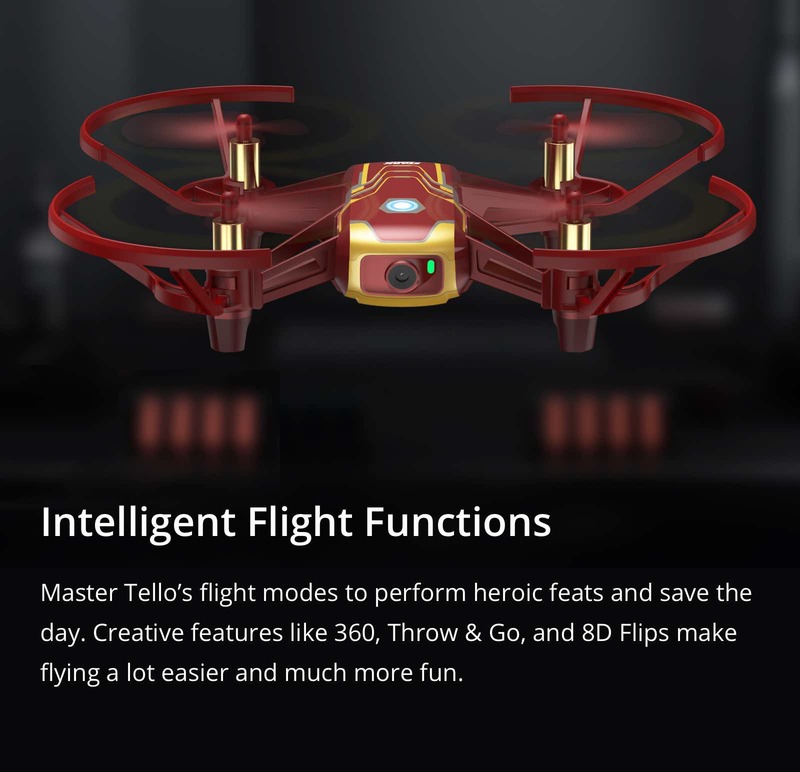 What is Tello's flight range? Tello's maximum flight range is approximately 100m, but that range may vary according to your environment. Are both the Tello app and Tello EDU app compatible with the Tello? The Tello is compatible with both the Tello app and Tello EDU app. The Tello app allows the users to enjoy aerial photography, while Tello EDU app makes it easy to learn to programme anytime, anywhere. However, these two apps cannot be used simultaneously. Before using the Tello app or Tello EDU app, the user must close the other app's process in the background. Restart the Tello is requested when changing different Apps. What are the differences between the Tello app and the Tello EDU app? 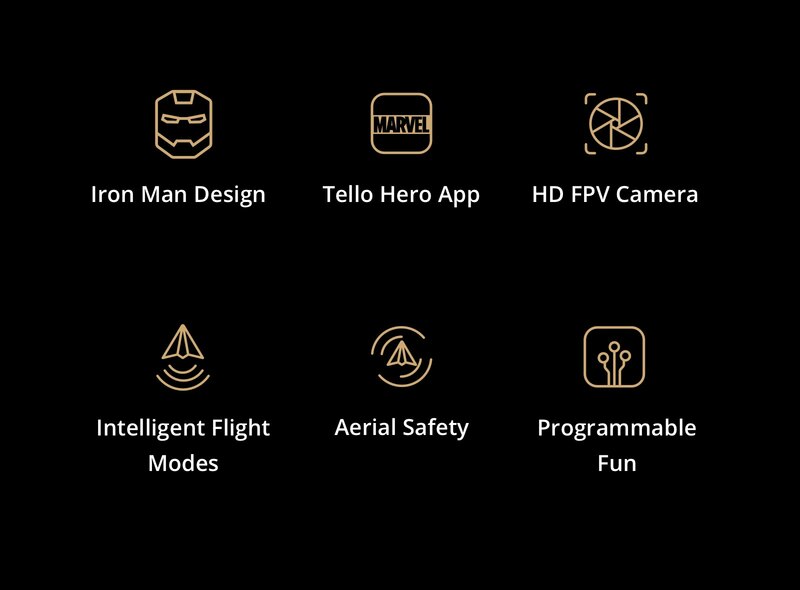 Users can easily enjoy aerial photography and more flight modes with the Tello app. The users can also see the live image in the app and use the app to record videos or take pictures. 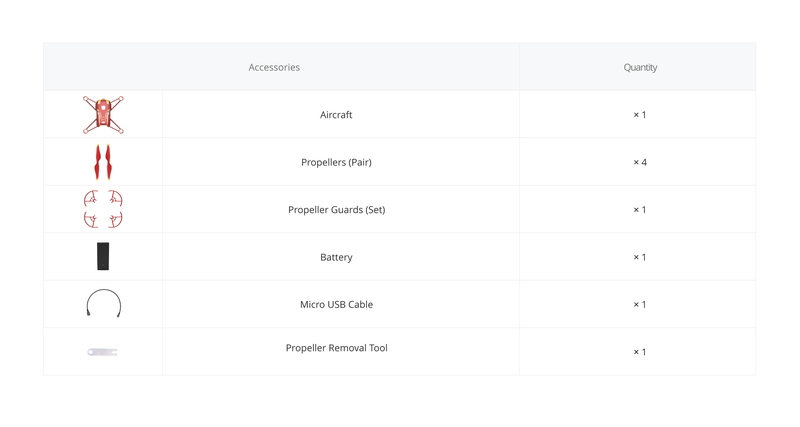 In the Tello app, users can set the aircraft parameters, update the firmware, and calibrate the aircraft. Therefore, the Tello app is essential for using the Tello to its fullest. The Tello EDU app makes flying the Tello more fun. The users can operate the drone in Blocks mode or Remote mode. The Remote mode's operation method is similar to the Tello app's operation, but it has simpler functions. Under the Blocks mode, the user can control the aircraft by block programming and learn how to program anytime and anywhere. Is the Tello EDU app free of charge? Most of Tello EDU app’s functions are free. However, the Tello EDU app charges for the game. What should I do if the Tello EDU app crashes? The Tello EDU app was made by Wistron Corporation (Shanghai). If you have any questions about this app, please call the service hotline of Wistron Corporation (Shanghai): +86-21-64952384. Or you can send email to stem_wsh@wistron.com for customer service. Thank you for your understanding. How to download the Tello EDU app? The Tello EDU app will be released simultaneously on the iOS AppStore and Google Play store. You can also scan the QR code on the official website to download the app. iiOS: Requires iOS 10 or later. Android: Android 4.4 version or later. Compatible with Samsung S9 Plus, Samsung S9, Samsung S8 Plus, Samsung S8, Samsung S7 edge, Samsung S7, Samsung S6 edge, Samsung S6, Samsung Galaxy note 8, Samsung Galaxy note 5, Samsung Galaxy note 4, Samsung Galaxy A8 Plus(2018), Samsung Galaxy A8(2018), Samsung Galaxy A7, Huawei Honor 10, Huawei Honor 9, Huawei Honor 8, Huawei Mate 10 Pro, Huawei Mate 10, Huawei Mate 9 Pro, Huawei Mate 9, Huawei Mate 8, Huawei Honor V9, Huawei Honor V8, Huawei P20 Pro, Huawei P20, Huawei P10 Plus, Huawei P10, Huawei P9 Plus, Huawei P9, Huawei nova2, Xiaomi 8, Xiaomi 8 SE, Xiaomi MIX 2, Xiaomi MIX 2S, Xiaomi 6, Redmi 4A, OnePlus5, vivo V7 Plus, vivo X7 Plus, vivo X6 Plus, vivo X6, Google Pixel 1 XL, Google Pixel 2, Asus Zenfone 5, Asus Zenfone 5Q, Asus Zenfone 4 Pro, Asus Zenfone 4, Sony Xperia XZ2, Sony Xperia XZ1, and Sony Xperia XZ Premium.